We began by performing a review of their existing website and immediately discovered many issues with the underlying code of their website and how the website code was written, which contributed to their website performing poorly in search engine ranking. After a few conversations, the review of their existing website and competitor analysis, we began developing a web strategy to accomplish their business goals and endeavors. Once given approval to proceed, we began by designing and developing an entirely new website, purpose-built for performance. The new web design was tailored to communicate the experience of horseback riding with the use of photography, colors, font styles, and the creation of art elements. We also provided copywriting services to develop new SEO rich content and messages related to the services they provide, written to target their markets and audience. 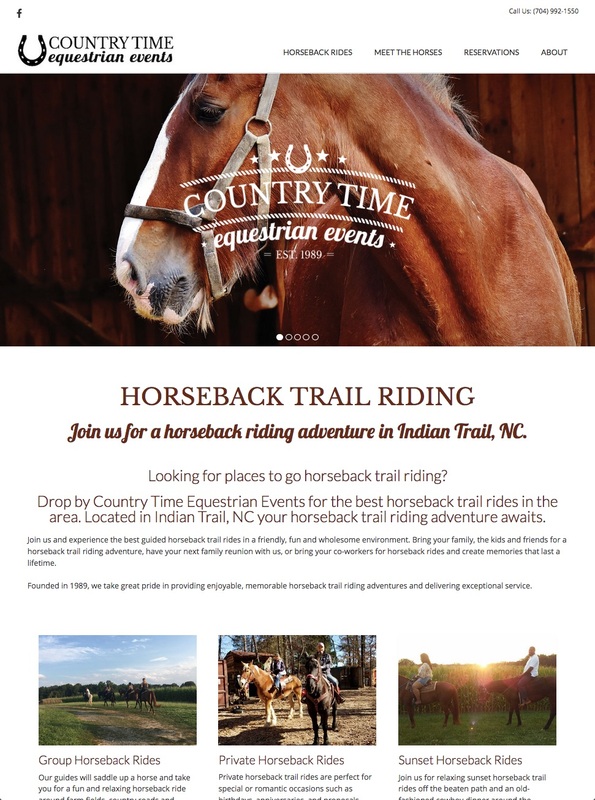 The new website was officially launched on Jan. 2018 and Country Time Equestrian Events indicated that business has picked up considerably.